Banking is one of the most important tools for sustainable for any Industries or Trade Members and ICICI Bank being the largest private sector bank renders invaluable banking and financial services to the Industries & Trade Members of this Estate. 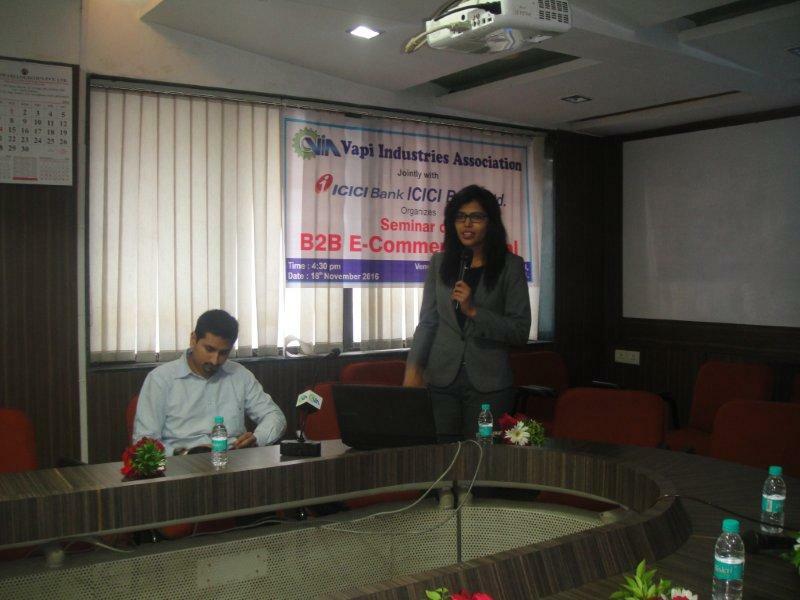 Now ICICI Bank has introduced a B2B E-Commerce Portal especially for the Chemical Industries and this Seminar is to make people aware of this Portal so that they may reap further benefit of this unique facility offered by ICICI Bank. The present members were greatly benefitted from this seminar. 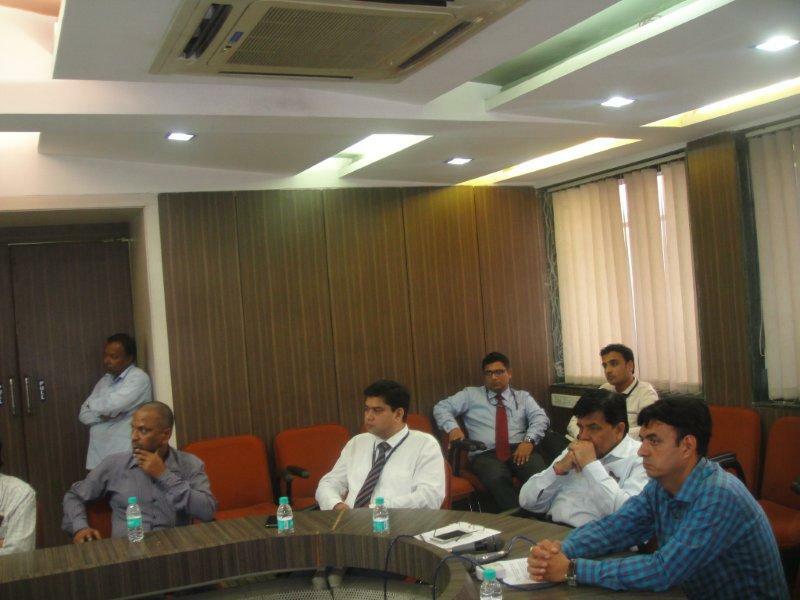 The seminar was held in presence of Shri Hitendra Thakkar, Vice President, VIA, Shri Parthiv Mehta, Hon. Secretary, VIA and other committee members and members of VIA and Shri Ashish Saxena, Asst, General Manager, Payments Solutions, ICICI Bank Ltd., Smt. Monika Jain, Senior Manager, ICIC I Bank Ltd., Mumbai, Shri Ishan Sharma, Manager, ICIC Bank Ltd., Mumbai, Shri Issac Tudu, Branch Manager (Commercial), ICICI Bank Ltd., Surat, Shri Sumant Agarwal, Managing Director, K K Chempro Pvt. Ltd.